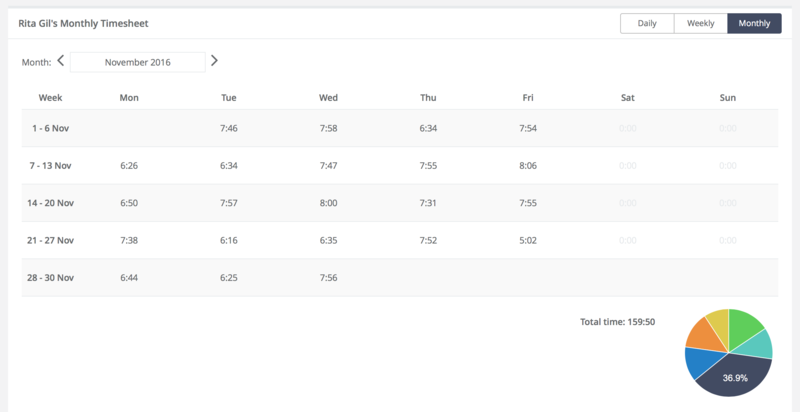 What are the different Timesheet views used for? 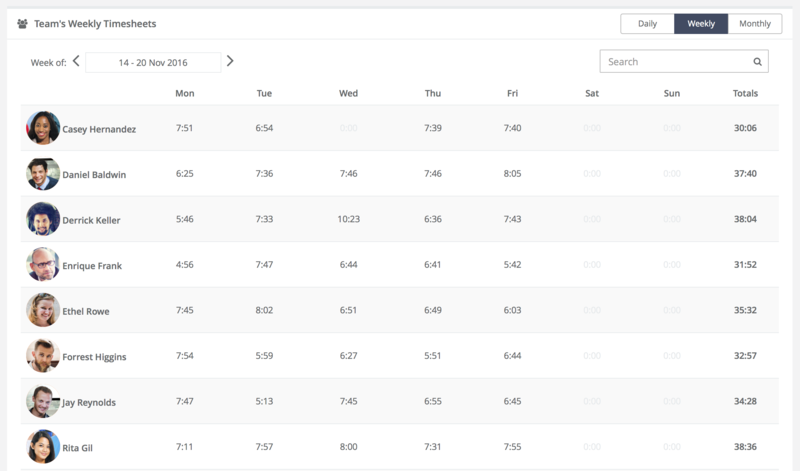 Provides an overview of your team's weekly hours. To drill down into more detail for someone just click on the day for the appropriate person. 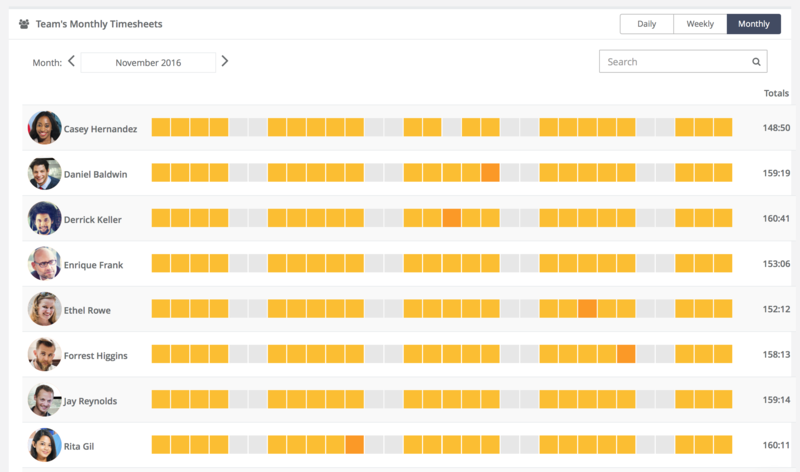 You can easily see if someone worked on a particular day and for now long. The darker the orange the more time they clocked. Grey means they didn't jibble any time. You can drill down into a day by clicking on the grey or orange cell. 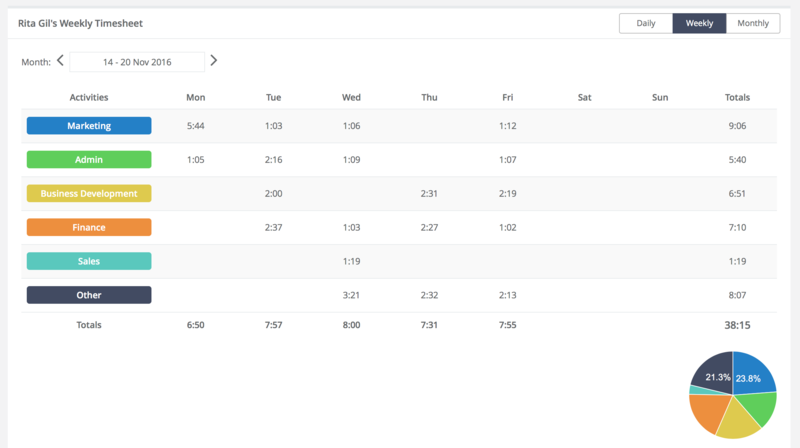 There are 3 types of Personal Timesheet views available to all team members including team admins. 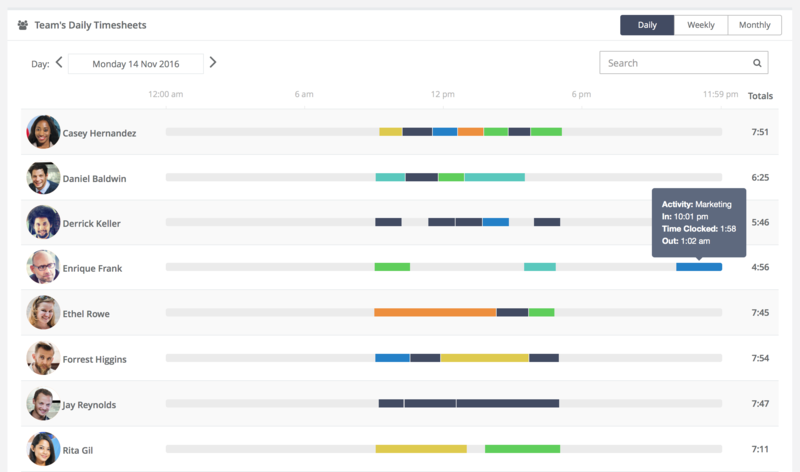 This is useful for reviewing the daily activity of a team member and this is where all the edits can take place. See How to edit manually. All the notes or tasks that have been logged against a Jibble entry are viewable from this view. 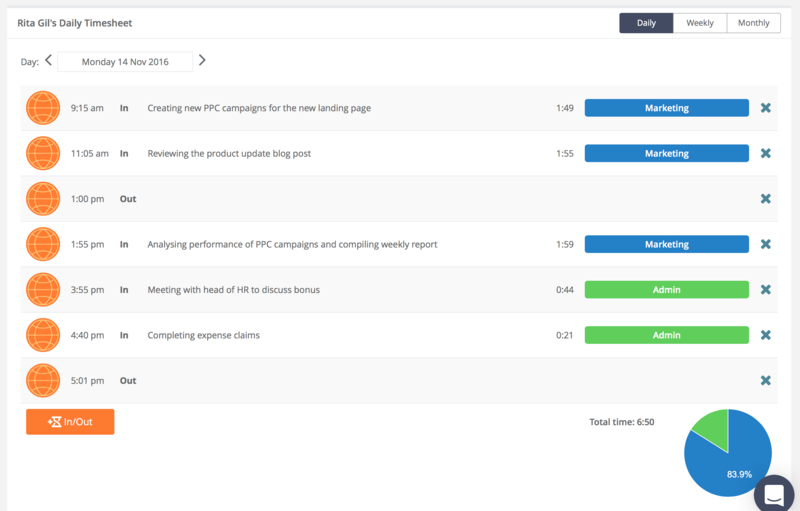 Many teams will be running payroll or reviewing timesheets on a weekly basis and this is the view to use for that. Time by activity is broken down and any Client work is also categorised. If you're running payroll on a monthly basis or issuing invoices to clients for each person then this can be a useful view. In all the personal timesheets you'll note that the time spent on activities are displayed as a pie chart for a quick overview. Timesheet summaries and detailed logs can also be downloaded as an Excel spreadsheet (xls file) with the Export Power-up.